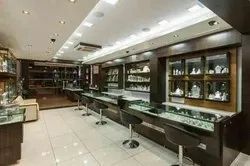 Best Jewellery Shops Interiors Professionals, Contractors, Designer, Decorator in India. We are providing a wide range of Shop Interior Service to our clients. Our experienced interior designers are specialized in designing shops with efficient space planning, color schemes and material. Our services are bound with quality and are widely appreciated b large number of clients. 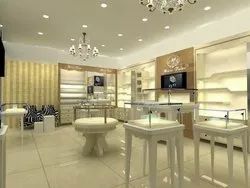 It is a jewellery shop at palam colony that has been designed by decons.we design jewellery shop with elegant and royal ideas which will attract the customers. Assisted by rich industrial experience and modern technical knowledge, we are able to offer Jewellery Shops Interiors. These services are widely used for their reliability, flexibility & client-centric approach. Our professionals work hard and provide all facility according to the demanded specifications from our clients.